Thrawn is one of the great characters introduced in the Expanded Universe. 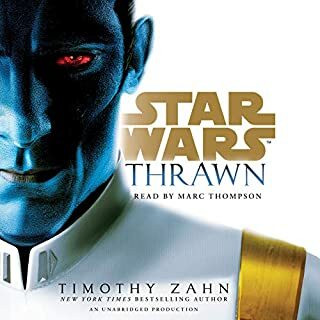 Timothy Zahn's trilogy from 1991 is arguably the best of Star Wars novels and bringing this character to canon is wonderful for fans. Thrawn mark ii is "same same but different" as they say. With Marc Thompson narrating this is a great addition and story. This is an origin story and nuanced introduction of Thrawn. From a character perspective this is around an 80% fit but with some nice changes and depth. I am looking forward to future stories and seeing if this interweaves with the movies at some stage. More questions than answers at this stage! I found Coben through a daily deal for The Stranger and while that is quite different the quality of the writing is there. 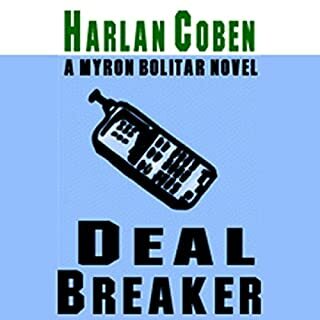 This book is set in the world of sports agent Myron Bolitar. Myron is a great character and there is a excellent support cast. There are enough twists and turns and it is relatively short and fast paced. I will definitely be looking at the next book in the series. Years ago, Lucas Davenport almost died at the hands of Clara Rinker, a pleasant, soft-spoken, low-key Southerner, and the best hitwoman in the business. Now retired and living in Mexico, she nearly dies herself when a sniper kills her boyfriend, the son of a local druglord, and while the boy's father vows vengeance, Rinker knows something he doesn't: The boy wasn't the target, she was, and now she is going to have to disappear to find the killer herself. This novel is a follow up to Certain Prey and is best read after that novel but can be read stand alone. 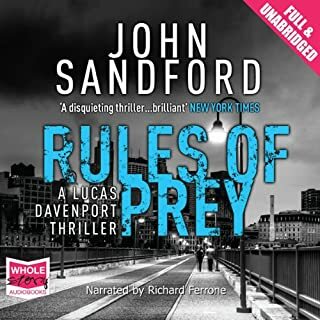 This novel takes Lucas away from the twin cities and the usual cast - there is very little of Del, Sloan and Cheryl but plenty of good characters from Certain Prey make a return and a few new ones as well. This novel is in a way an end to the first half of the Lucas series as it will see him transfer from City cop to State cop, last novel pre-marriage and second child and is a good farewell to this part of Lucas' journey. Sandford is my favourite crime writer and I am really enjoying going back through the older stuff. There is such a strong arc for Lucas and each noel builds a little without making him superman. The story felt like it relied on a lot of old soviet cliches, the crime story took 7 hours to get going and was a bit fanciful. 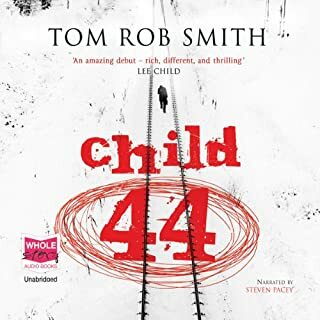 Would you ever listen to anything by Tom Rob Smith again? Would you listen to another book narrated by Steven Pacey? He didn't add or subtract from the story. If you could play editor, what scene or scenes would you have cut from Child 44? it was very long for a thin story line. A few decent twists but nothing particularly interesting or not telegraphed. I decided to read this before starting to watch the BBC TV series with Idris Elba. There is a lot to like about this book, the characters on the police side are well formed, the performance is solid and the pacing is good. 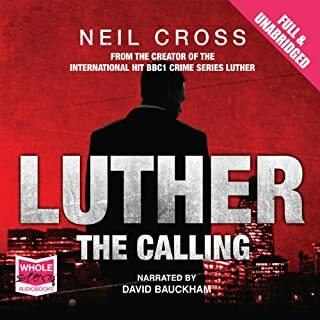 My understanding of the tv series is that Luther pushes the boundaries and is a dark character and given this book is written after the tv series to try and explain (prologue) the Luther character I think the author has gone overboard in the violence and nature of the crime Luther is investigating which detracts from the story (and I have read a lot of crime novels). Globe and Mail golf columnist Lorne Rubenstein has authored multiple acclaimed books and had his work featured in major golf publications. Moe & Me is a riveting exploration of the life of Moe Norman, known for his unusual swing on the course - and his crippling insecurity and introverted nature off of it. Moe Norman is one of the more interesting characters in golf over the last 50 years, arguably the greatest ball striker that ever lived. Due to some difficulties (believed to have had Asbergers but never diagnosed) he struggled with the other elements of the game and the tournament schedule. 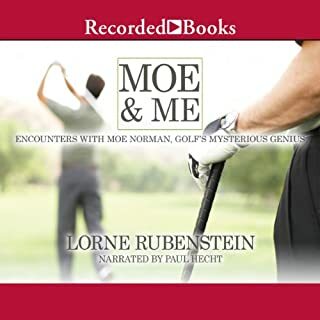 This book goes some way to sharing Moe's story and is interesting, given Moe's utter devotion to hitting balls the story does not stray to far from the golf course or driving range. This is a well told story, good performance and is worth the read for anyone interested in the history of golf - For those that don't know of Moe Tiger Woods has described that Ben Hogan and Moe Norman are the only two to have ever really owned there golf swings. Within hours of the 1995 bombing of the Murrah Federal Building in Oklahoma City, the FBI had evidence pointing to Islamic extremists. But incredibly, federal authorities quickly squelched all investigations implicating Middle Eastern suspects. 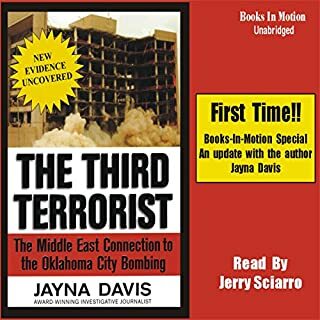 Here, award-winning investigative reporter Jayna Davis shares a gripping and intensely personal account of her arrival on the scene 13 minutes after the blast, the worldwide search for suspects, and the abrupt abandonment of the manhunt for John Doe #2. Would you try another book from Jayna Davis and/or Jerry Sciarrio? No - if you have even a passing knowledge of terrorism and investigative procedures you will be picking holes in this book the whole way through to the completely fanciful final hour of this book. Davis has taken a few sketchy descriptions and gone about trying to confirm the case rather than looking at the whole case - a wonderful study in confirmation bias. She spends a long time on very tenuous links but no time looking at the case the prosecution put up. Don't waste your time - go read Marc Sagemen and get a good feel for what drives home grown terrorism. Has The Third Terrorist turned you off from other books in this genre? Have you listened to any of Jerry Sciarrio’s other performances before? How does this one compare? 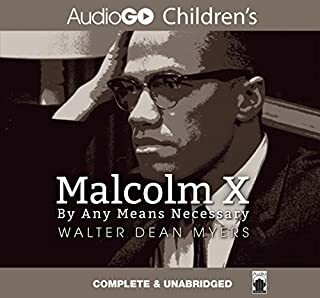 This is a good (but rather short) biography on Malcolm X. 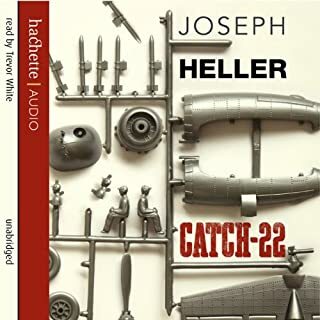 The narration is very good and what there is of the story is well researched and informative. Having read stories on Martin Luther King Jr the difference in life stories of these two men is intriguing. Well worth a listen if you are interested in the civil rights movement. I read these books twenty years ago now and have been an avid fan of the series ever since. 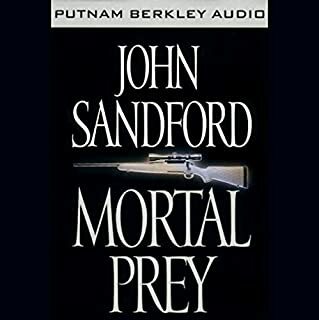 John Sandford finds a way to drag you into the characters and it was great to go back to where it all began. Not the greatest performance but not the worst either. I highly recommend this series for any fan of the serial killer/cop genre, these are good gritty urban tales with a good sense of humour about them also.